All proposals for projects for Round 2 will be accepted by latest Tuesday 01 May 2012 online via e-form (by Wednesday 2nd May when bringing them personally or by post). For this round, the list of actions covered by this call includes Youth Exchanges, Youth Initiatives, Youth Democracy projects and European Voluntary Service. Projects for this round need to commence between 01 August 2012 and 31 January 2013. Application forms and other related documentation can be downloaded from the Youth in Actionwebsite www.yia.eupa.org.mt. These initiatives are funded with the support of the European Commission (Directorate General Education and Culture). 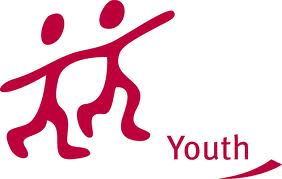 A call for proposal is currently open for projects under the Youth in Action Programme. Young people can apply for funding to take part in a variety of activities including exchanges, initiatives and make experiences abroad as part of voluntary organisation. Information on the European Union Programmes Agency can be found at the agency website eupa.org.mt.